Venice is on just about every travel bucket list for those who find Europe appealing. This quintessential romantic city in Northern Italy's Veneto region is famous for its many canals and its lack of actual roads. Gondolas are the common mode of transportation, from the Grand Canal, lined with Renaissance palaces, to the many others that connect its small islands in a lagoon of the Adriatic Sea. If you're flying into Venice's Marco Polo Airport, you might be giving a bit of thought to how you can get from the airport to this city of canals. You needn't worry: You'll have many ways to get to Venice. You can take the ATVO Fly Bus (the Venice Airport Bus Express) to the Piazzale Roma in Venice, along with other Veneto destinations. A bus is also available to Mestre. Or take city bus No. 5 to Venice and No. 15 to Mestre. Taking the bus is an inexpensive option, but you probably won't want to use it when you have a lot of luggage. As with most local buses in Italy, you can buy a ticket at a tabacchi (tobacco store) or newsstand. There is one at Marco Polo Airport. Alilaguna offers many connections via boat between Venice and the airport. Shared transfer to Venice on a water taxi for a minimum of two people is also possible at a reasonable cost from Venicelink. It will take you right to your hotel (and everyone else's hotel). How long it takes depends on where your hotel is on the list of stops. If you prefer to have your transfer services managed by an American company in a manner advertised as "faster than the Public Airport Boat" (you'll want all the time you can get in Venice), you can order the highly rated Venice Airport Shuttle services from Select Italy, where you will book your ride directly. A Venezia Unica City Pass offers a card tailored to your expected uses of public transportation, churches, museums, WiFi access, public restrooms, and car parking based on the season of your visit. The composer allows you to add services on an a la carte basis, so you can have seven days of free restrooms and three days of WiFi, for example. ACTV offers Travelcards good for up to seven days. 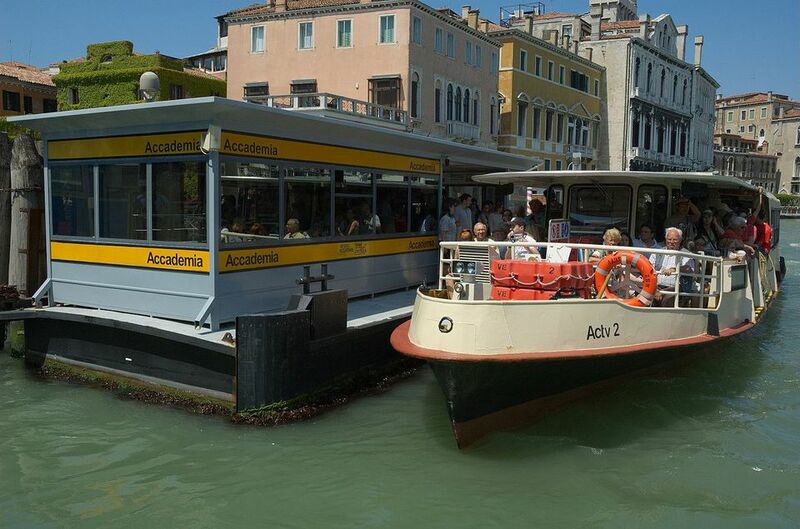 These cards allow unlimited travel and can be used on all the services, both waterborne (except those of route Alilaguna, Clodia, Fusina) and on land, that provide urban transportation within the municipality of Venice and land services on the Lido and in Mestre. This is the pass to buy if you're interested in a transportation-only pass.